House Astris (about 35 m2) is the ideal house for a couple or a couple with one child. A spacious living room with a sofa bed and a separate bedroom with one double bed can comfortably accommodate up to 3 people. From the terrace, you have a wonderful sea view and can enjoy your vacation to the fullest. House Sappho (ca. 45 m2) is the optimal house for families and groups of friends. 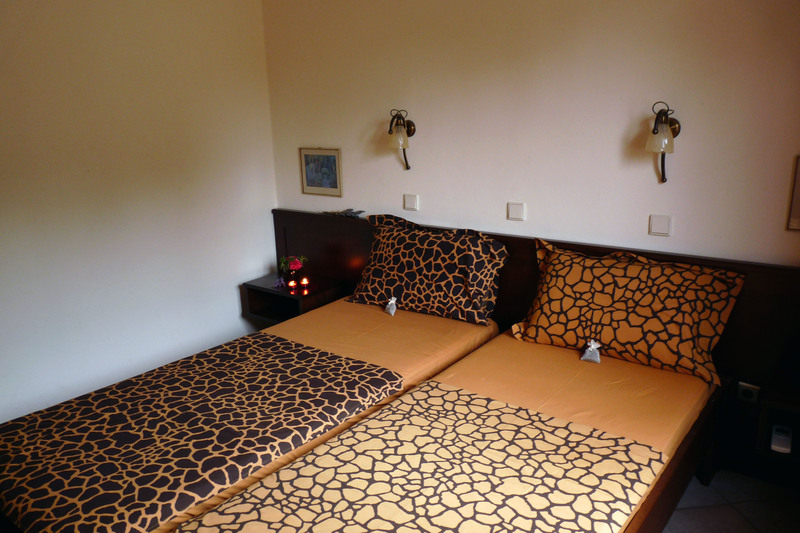 It has two separate bedrooms (one double bed | twin beds) and a cozy living room, thus providing enough space forup to 4 people. On the terrace with breathtaking sea view, you can relax and forget about everyday life. House Callas (ca. 50 m2) is our largest house. 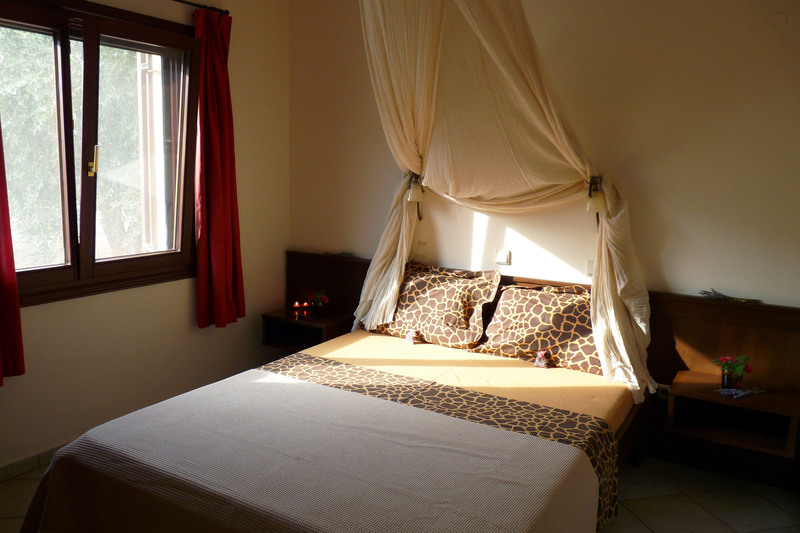 Two spacious bedrooms (one double bed | twin beds) and a separate living room with a sofa bed can accommodate up to 5 people. In addition to the front terrace with sea view, you can enjoy the sun until the late evening hours on the back veranda with beautiful garden view. 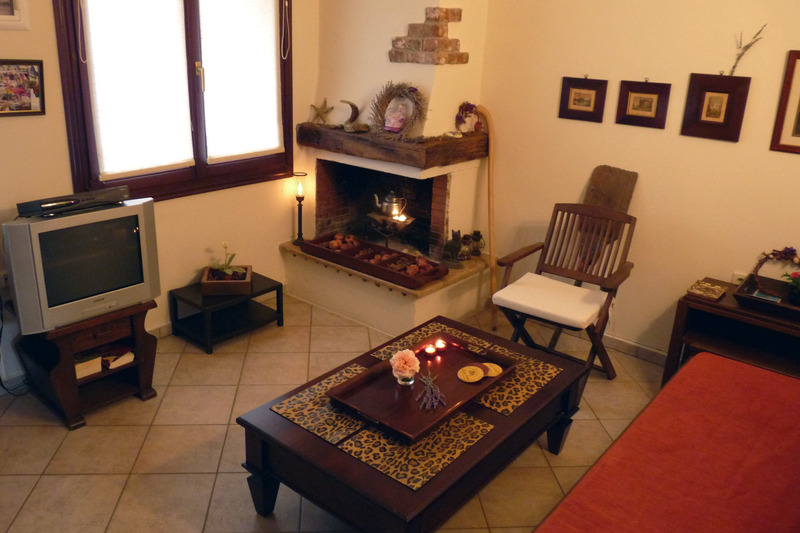 All our houses have an open fireplace, air conditioning in the living room and all bedrooms, as well as satellite TV. 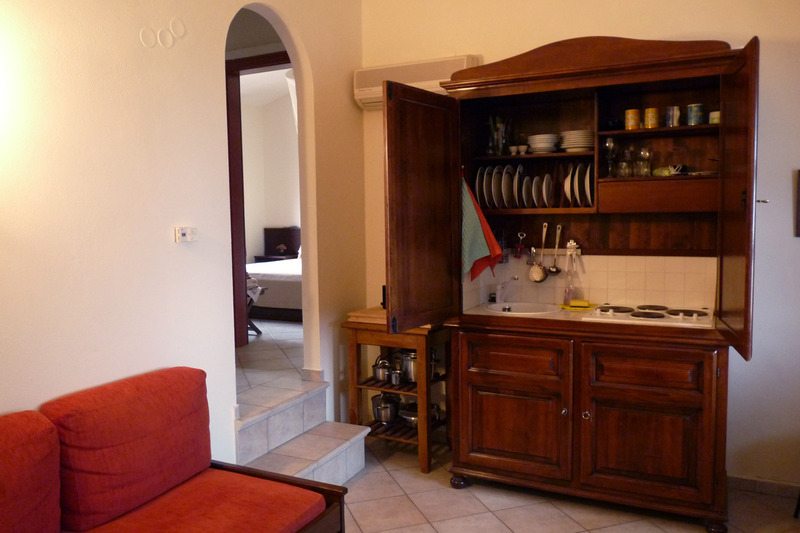 In addition, a well-equipped kitchenette invites you to cook. Use of WLAN is available in all houses and is free of charge. 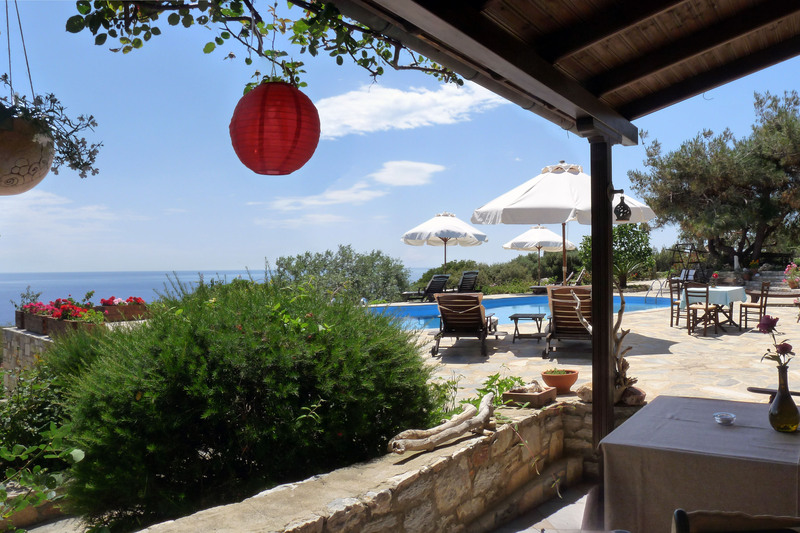 All terraces offer a breathtaking view to the open sea and the island of Samothrace. Sheets and towels are provided by us.